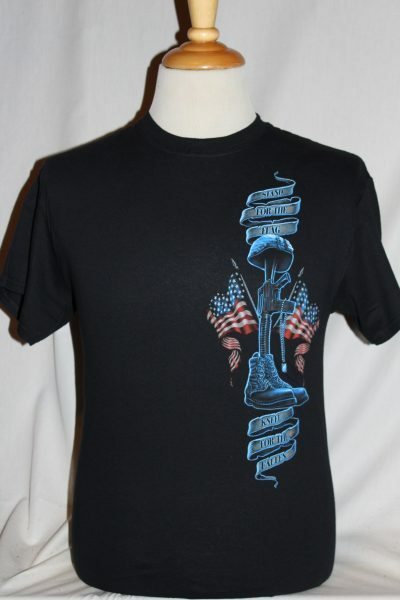 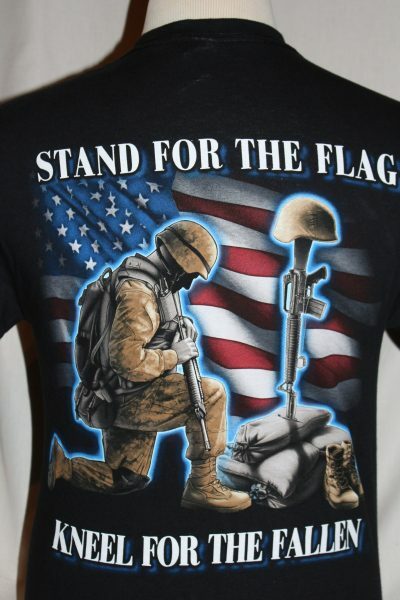 The Stand For The Flag T-Shirt is a two sided print in black. 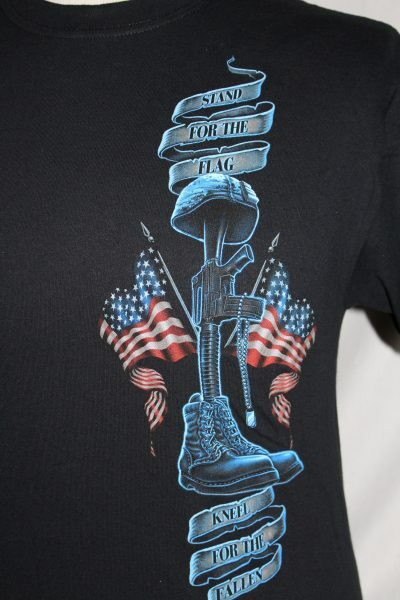 Front Design: Left chest displays Twin American flag, helmet, AR15, and text, highlighted in blue. 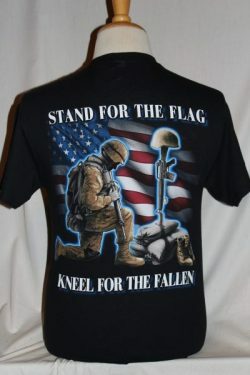 Back Design: American Flag, kneeling soldier,helmet, AR15, and text.